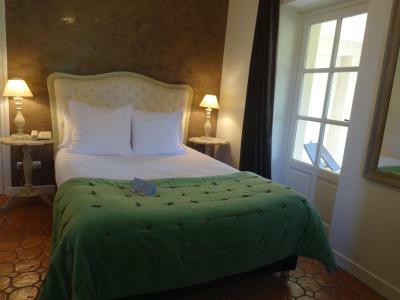 Lock in a great price for Le Domaine Du Colombier – rated 8.8 by recent guests! 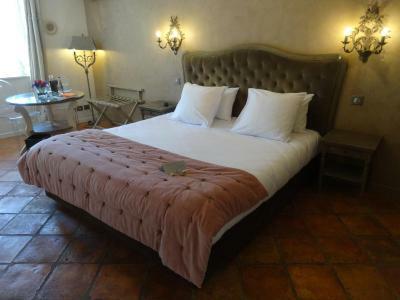 The hotel was out in the countryside, beautiful with pool and lovely terrace. The restaurant was supreme! Wonderful food and service!! I highly recommend this hotel!!! The room is spacious, beautifully done, and unique. 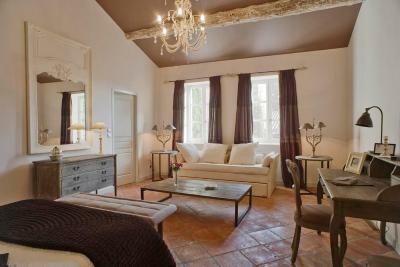 Each room are decorated differently. Dinner at the restaurant is fancy and delicious. Ordered a 3 course meal but it became like 8 courses. Nice place to relax. 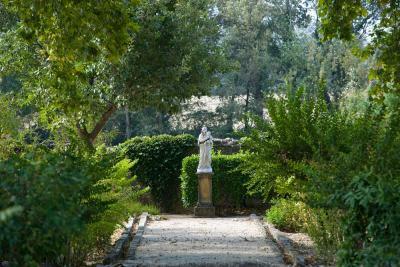 If you're in the area of malataverne or montelimar, this is the place to stay for some quiteness, serenity and tranquility. The warm but also efficient welcome. 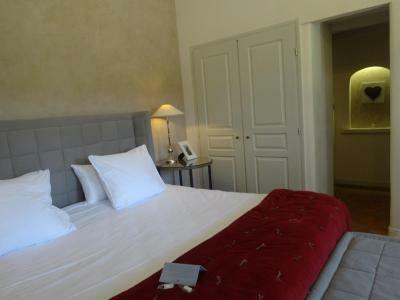 The large comfortable room. The gardens. The restaurant. The staff. The setting. We really liked the dinner at the hotel's restaurant and the fact they catered to our special diets (vegetarian and vegan). We had one of the best bottles of wine on this trip and the food at dinner was very tasty. I especially loved the cheese platter at the end. The fruit and sorbet dessert that my wife had was also fun and interesting. The first really good fruit platter and sorbet we ever encountered. Our room was spacious and had a nice view from the balcony. the staff were very helpful. we changed our room as first had too many stairs. second room excellent. we came here mainly to try the restaurant which was very good both for food and surroundings - it is in a medieval crypt. attractive outside area but a bit too cold to use! Very pretty and comfortable room - delicious food. Wished we could stay longer. Das Frühstück war ok aber es hatte nur eine kleine Auswahl. Die Betten war sehr gut. 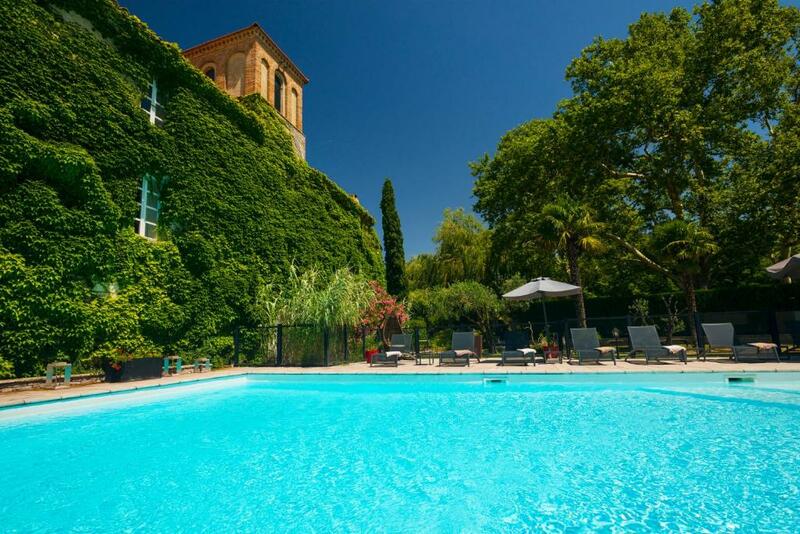 Standing on 4 verdant hectares with century-old trees and flowers in the heart of the Rhone Valley is Le Domaine du Colombier, a beautiful 14th-century Bastide country house. 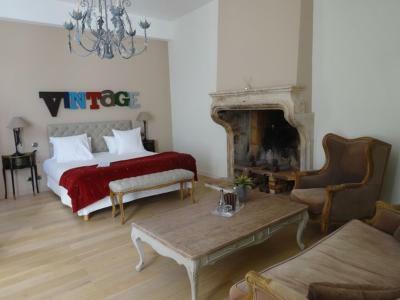 The hotel offers rooms and suites finely decorated and furnished with style. All rooms are equipped with bath or shower and toilet, direct dial telephone, air-conditioning, LCD TV and Wi-Fi internet access. Chef Emmanuel Bachelier creates gourmet cuisine with regional flavors and fresh produce from the Drôme and Ardèche area. Cooking classes are offered that feature local recipes. Also available is a swimming pool, outdoor terrace for dining and relaxation, an indoor lounge, a private car park and secure garage and a seminar and reception room. 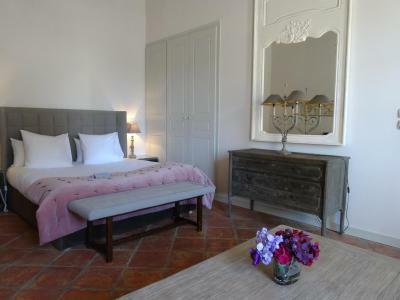 When would you like to stay at Le Domaine Du Colombier? This suite features a mini-bar, a flat-screen TV and free Wi-Fi. 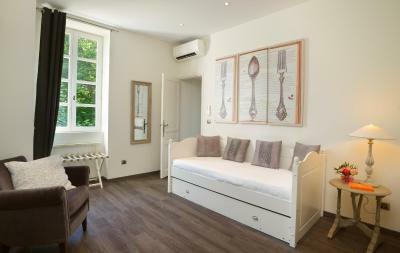 With a parquet floor, the private bathroom is fitted with a bath, shower, hairdryer, slippers, bathrobe and free toiletries. Extras in this suite include a separate lounge with a work desk. Some of the suites have a mezzanine floor. 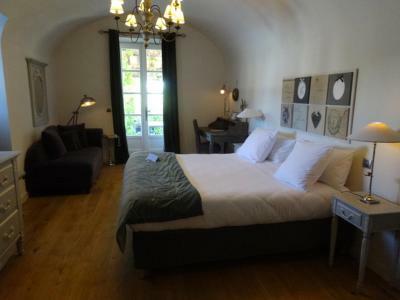 This room features a mini-bar, a flat-screen TV and free Wi-Fi. 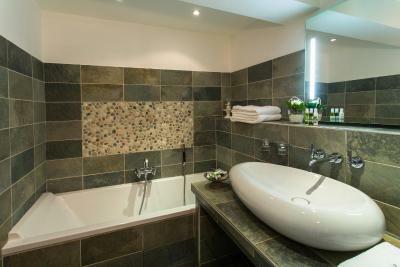 With a parquet floor, the private bathroom is fitted with a bath, shower, hairdryer, slippers, bathrobe and free toiletries. 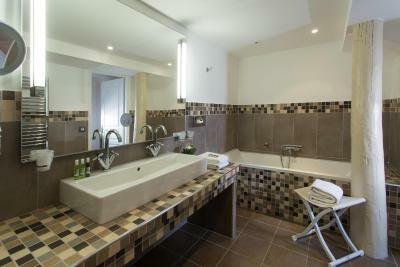 House Rules Le Domaine Du Colombier takes special requests – add in the next step! Le Domaine Du Colombier accepts these cards and reserves the right to temporarily hold an amount prior to arrival. The restaurant will be closed on Tuesdays from 10 October to 25 April. Terrasse non entretenue Pas de douche .....! Nice hotel, but badly let down by average restaurant with pretentious, arrogant staff. One of my wife’s and my hobbies is wine, and we know enough about it to tell that the bottle of white wine we ordered was most definitely corked, which the waiter refused to acknowledge, and simply dismissed. On checkout we were charged full price for the bottle. The best course of dinner was the cheese - enough said!! Pity, as otherwise this was a pleasant hotel. We would definitely NOT return. Our dinner was delicious but they only offered 3 small courses which is just not enough calories on a vegetarian or vegan diet. If I hadn't had the bread and cheese, I would have been hungry at the end. My wife had to do with bread and olive oil. Luckily it was very good bread. Unfortunately the good dinner experience did not continue with breakfast the next morning. Apparently now everyone forgot that my wife is vegan. They had no soy milk or even margarine for her ... just regular milk and butter. Also the waiter was quite rude and condescending to my wife after she politely told him she's vegan and rejected a yoghurt he offered. Outstanding restaurant with impeccable service.